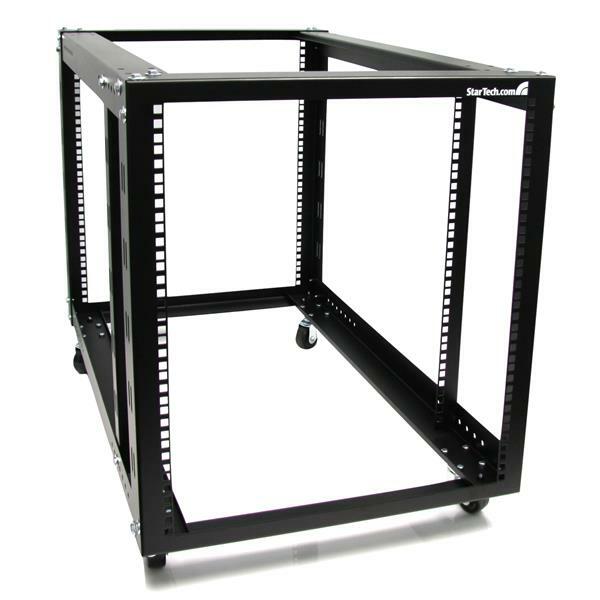 The 4POSTRACK12A Open Frame Rack offers a durable, yet flexible open-air housing for rack-mount servers and networking equipment. The rack/cabinet features heavy gauge mounting rails to ensure a stable installation platform with two adjustable posts for variable mounting depths. Units include complete mounting hardware and accessories as intended with the original (non-refurbished) product, and are provided in the original packaging. Refurbished units may have small scratches in the paint on the metal casing, but all other components are as new. Backed by a 90-day replacement warranty.